We have a detailed understanding of the importance of financial planning, with exceptional skills and experience in implementing Planning Analytics. Our team members are focused on delivering an automated financial planning system which meets our clients’ needs, and constantly provide exceptional client service. 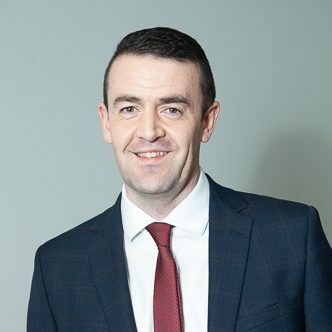 Declan is an IBM Certified Advanced Solutions Expert – TM1 who suffers from a genuine obsession with pushing the boundaries of the tool-set to give the customer a system that meets their requirements instead of one that dictates how the customer should work. Declan has consistently shown a real passion for TM1 by contributing to various online and offline communities on a regular basis. Adam started his career working for a world renowned luxury car firm. Having gained detailed knowledge of all finance departments and the systems they use – he headed up their implementation of TM1. He has since worked with TM1 across various industries, big and small. from the private and public sector. Adam, as our Sales Director, nurtures and grows our client base. He has extensive knowledge and experience of the issues that businesses face in developing systems and processes to enable them to grow in an efficient and effective manner. Contact Adam to understand how Planning Analytics can help your business. As an ambitious company, we are always looking for new talent to join us. Contact us if you are interested in working for a dynamic, growing business. We have opportunities at all levels within our business. Whether your skills and experience is working with IBM’s Planning Analytics, or your background is Sales or Admin, contact us now. No matter the role within our business, it is essential that you have a can-do attitude, a passion for client service, and a desire to develop your skills.